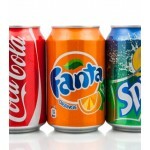 Soft Drinks in cans and bottles wholesale prices from stock at Packaging Lincs Skegness. ONLY AVAILABLE FOR COLLECTION OR LOCAL LINCOLNSHIRE DELIVERY. Please contact our sales team for..